A flight nurse would have spent no more than a night in the hospital had the FAA done its job. 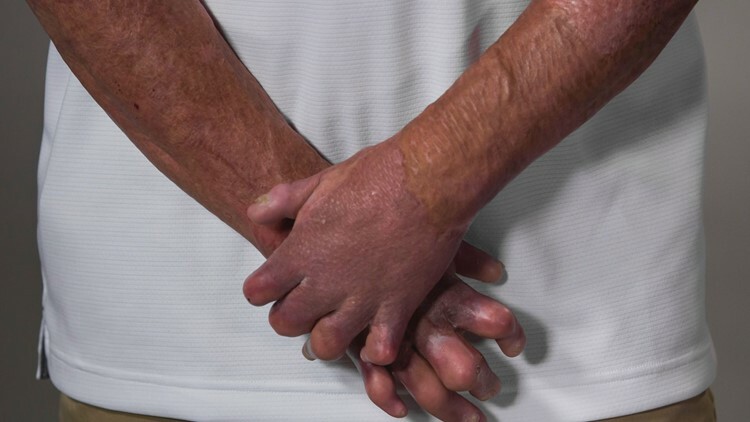 Instead, he spent nearly 400 nights in the hospital with burns on 90 percent of his body. Now, he's working to change the law. 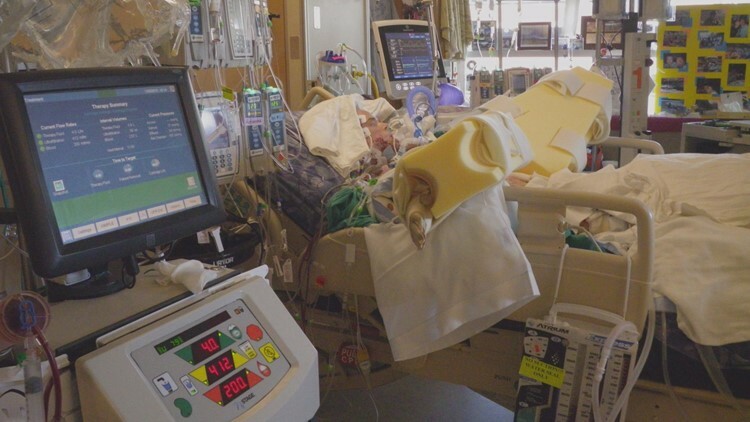 KUSA — Dave Repsher should have spent no more than a night in the hospital. The July 3, 2015, Flight for Life crash in Frisco was, at least for him, utterly survivable – at first. A few broken bones. No major cuts. Nothing that would have required substantive care. Had the fuel tank remained intact, had it not immediately ruptured upon impact, there would have been no spill. That would have meant no inferno. No burns. For the soft-spoken, four-year veteran of the FIight for Life program, the sequence of events remains impossible to ignore. 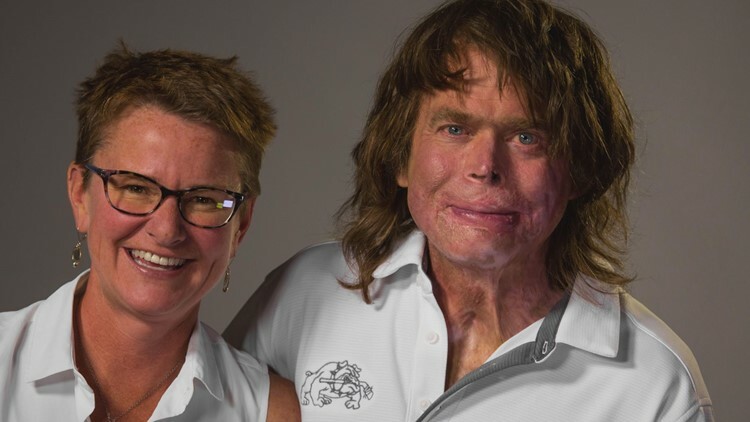 The burns he suffered because of the fire destroyed more than 90 percent of the skin on his body and kept him in the hospital for more than a year. His kidneys failed. Infections nearly killed him a half-dozen times. “A lot of people look at me and say, ‘How did you do it? How did you get through it?’ I honestly think I had the easier part,” Repsher said as he looked at his wife. “I know I wouldn’t be here without Amanda,” he added. A close-up shot of Dave and Amanda Repsher. More than anything else – more than even the team of doctors and nurses and therapists who worked days and days to save his life – Repsher knows he wouldn’t be alive today without Amanda. “Dave is the strongest person I have ever known in my life,” Amanda said. More than three years after the fiery Flight for Life crash in Frisco – a crash that resulted in the death of pilot Pat Mahany – Dave and Amanda Repsher know the recovery is far from over. They also know they’ll continue to face it the same way they’ve faced it for years. The inferno following a 2015 Flight for Life crash could have been prevented. Twenty-seven seconds after an impact with the parking lot, Dave Repsher started to move. The seat he had buckled himself into just a few minutes prior was still attached to him, yet he was no longer inside the helicopter. He and that seat were on asphalt, outside of the downed Flight for Life, and underneath a door that had broken away from the aircraft. Instinct told him he needed to get away. He pushed the door away from him and got up -- seat still attached. “There was fire everywhere,” he said. He didn’t know it at the time, but he was already burning. The crash had ruptured the helicopter’s plastic fuel tank. The resulting spill turned much of his flight suit into an impromptu sponge. Burns covered nearly 90 percent of Dave Repsher's body after the Frisco helicopter crash. Fuel had coated his navy-blue Flight for Life suit from nearly head to toe. By the time he started stumbling away, he looked less like a flight nurse and more like a Hollywood stunt double. “I didn’t know which was the right way to go or the wrong way to go. I was just trying to get away from the fire, but it was everywhere,” he said. Not long after, it hit him. There would be no escape. “I was the fire,” he said. At the time, the crash had already summoned staff at Flight for Life crew’s home base of St. The hospital was only a few hundred yards away. Repsher still remembers coming into the hospital’s emergency room. “I knew I was burned,” he said. “I guess that’s when I started feeling things. The pain was bad. “Right before they gave me some medication, I told them… to tell Amanda I love her. And that was it. It was black,” he said. The black lasted for five-and-a-half months. “I didn’t wake up until Dec. 14 (2015),” Repsher said. 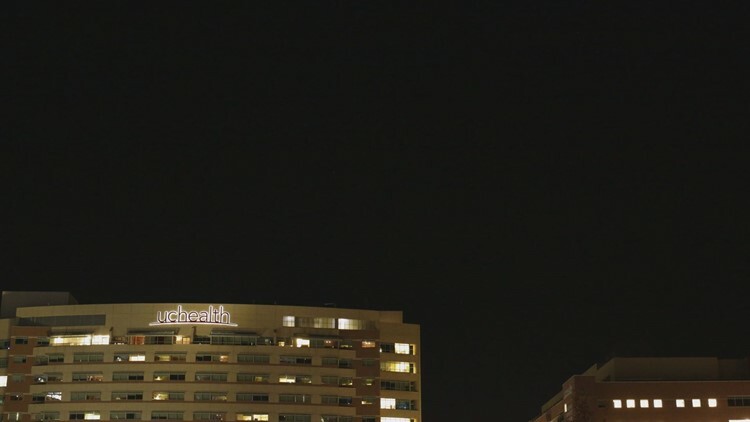 The exterior of UCHealth at night. "I never really thought he'd make it through the night"
Amanda begged to go in the chopper that was going to send Dave to University of Colorado Hospital’s nationally-recognized burn unit shortly after the crash. 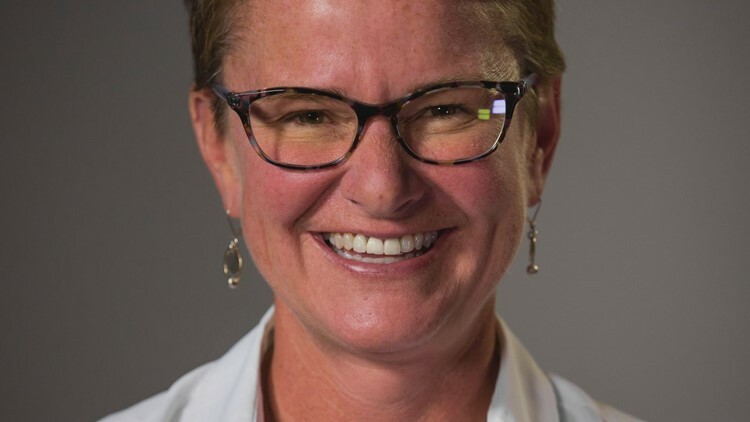 By the time she got to the hospital’s campus, she feared the worst. Amanda, like Dave, was no stranger to the world of medicine. Dave and Amanda are both nurses, both paramedics. She had seen bad burns. She knew the statistics. “I never really thought he’d make it through the night, you know, the first 24 hours,” she said. The night came and went. Dave survived. Barely. Amanda Repsher is considered instrumental in her husband's miraculously recovery for a series of burns that nearly killed him multiple times. What followed were more days and more nights filled with dread and uncertainty. As doctors at University of Colorado Hospital struggled to grow and regrow skin to cover the skin they had to remove, Amanda inserted herself into Dave’s the medical team. On Dec. 3, 2015, Dave came about as close to dying as anyone can. Dave Repsher was in the hospital for nearly 400 days after the Flight for Life crash. In the days that followed, doctors told Dave his future was uncertain at best. Dave would end up spending more than a year in the hospital. 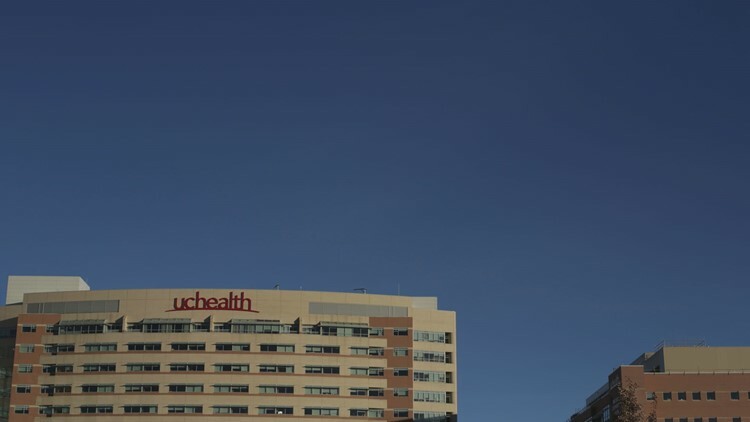 The exterior of UCHealth during the day. “We wanted something to celebrate in the midst of all of the pain"
Dave and Amanda weren’t married when the crash happened, although it kind of felt like they were. “We were in an advanced cardiac life-saving class,” Dave said, rolling his eyes ever so slightly if only to acknowledge their health care nerdery. Their first date back then involved kayaking. Amanda admitted she struggled to keep up with Dave. Dave and Amanda Repsher met in 1999, but didn't get married until he was in the hospital following the 2015 Frisco helicopter crash. Seventeen years later, while Dave was still in intensive care, Amanda and Dave decided the time had finally come to make it official. Amanda said Dave’s grandmother had two rings, and his mom gave her a choice between them. On Feb. 27, 2016, inside the University of Colorado Hospital burn ICU, Amanda and Dave got married. “We wanted something to celebrate in the midst of all of the pain,” she said. On June 7, 2016, Dave moved to the hospital’s rehab floor. On August 2, 2016 – or 397 days after the crash – Dave walked out of University. He literally walked. On two feet. Without a wheelchair. 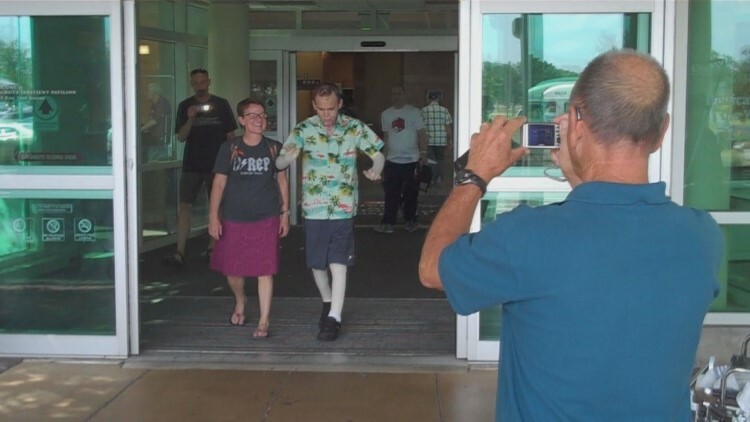 Dave Repsher walks out of the hospital after nearly 400 days. “These fires can be prevented"
Dave Repsher didn’t know much about helicopter fuel system vulnerabilities before the crash. “When he awoke [in the hospital], I asked him, ‘Dave, did you have any idea about any of these lack of safety standards?’ And he said, ‘No, I had no idea,’” Amanda said. At the time, most of his colleagues in the air ambulance community hadn’t either. They didn’t know, for example, that 85 percent of the helicopters built since 1994 had fuel systems in them that were incapable of withstanding a drop test of only 50 feet. That was -- and remains to this day -- the standard. The helicopter that crashed in Frisco in 2015 was only a little more than a year old, but the fuel tank in it was plastic. An extensive 9Wants to Know investigation revealed the helicopter model – an AS-350 B3e – needed only to meet the safety standards in place when it was first approved for flight by the Federal Aviation Administration in the late 1970s. The scars remain after Dave Repsher was burned in a helicopter crash in Frisco. That’s because the FAA adopted new fuel system safety standards in 1994 and decided to grandfather all models certified prior to the rollout of the new standards. If a model was certified after 1994, it would need a crash-resistant fuel system, but most models in the air today were certified well before. The AS-350, for example, was certified in 1977. 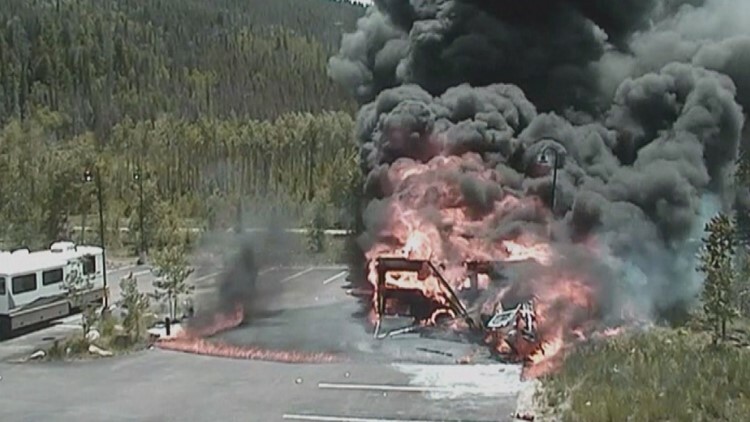 As a result – and even though it was new – the Flight for Life helicopter that burst into flames seconds after impact was never required to have a crash-resistant fuel system onboard. “It’s something that can be fixed,” Dave said. In February, the manufacturer of the downed helicopter (Airbus) as well as the operator (Air Methods) settled with Dave and Amanda Repsher for $100 million. 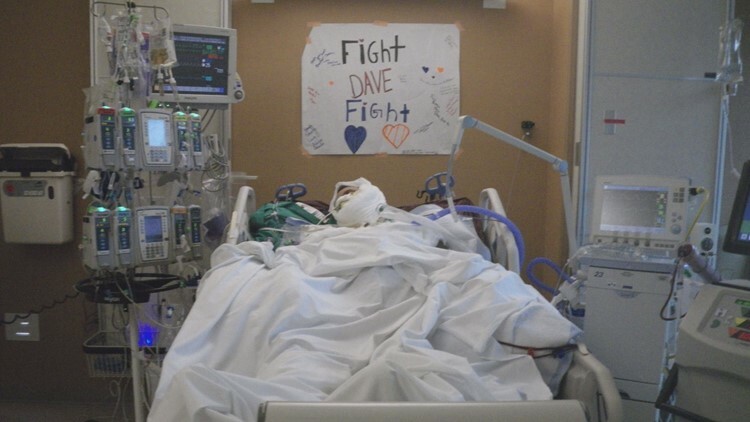 Dave’s medical bills, both past and future, promise to be near $60 million. Much of the money that remains will go toward a foundation devoted to raising awareness of helicopter safety standards. The couple would like to change a few laws while they’re at it as well. They already have helped with one. In October, President Donald Trump signed into law a mandate requiring all newly-built helicopters – regardless of date of certification – to have crash-resistant fuel systems. “These fires can be prevented,” Dave said. It’s still not enough, however. “Most of the helicopters flying around today in the United States still don’t have crash-resistant fuel systems,” he said. Along with the Karen Mahany – the widow of pilot Pat Mahany who died in the 2015 crash – Dave and Amanda Repsher plan on speaking around the country to try to come up with innovative ways to retrofit the existing fleet of U.S. civilian helicopters. There’s talk in Congress of tax incentives. It could ease the burden for smaller operators who want to retrofit their helicopters. Dave would also like to see safety standards improved in other areas as well. When the helicopter crashed, Dave – along with the seat he was in – was immediately ejected from the aircraft. The seat was incapable of surviving the crash intact as well. That shouldn’t happen. There are still far too many deaths and injuries, Dave said. Since his crash, Dave said he’s seen other, similar stories. 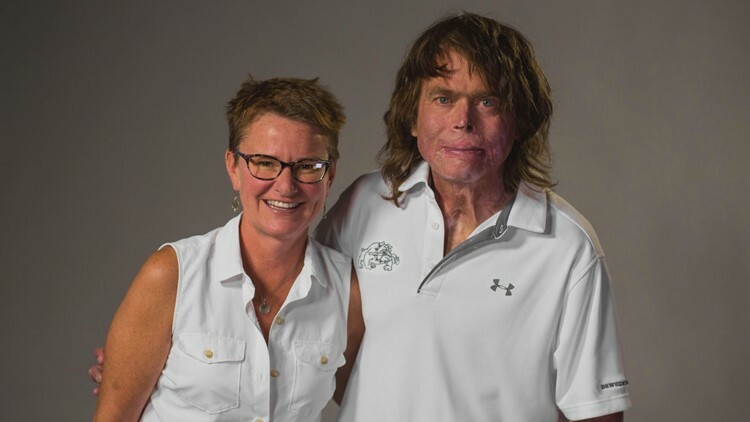 Dave and Amanda Repsher are advocating for change after he was involved in a fiery inferno that could have been prevented. In 2016, a helicopter crash in Pigeon Forge, Tennessee, killed five. Four of those victims died due to burns. This year, five people died as a result of burns following a helicopter crash in the Grand Canyon. These crashes only add to their haste. Something needs to change, Amanda and Dave said. More and more people will suffer the same fate as Dave if it doesn’t. Look for them to handle it with the same resolve Dave had when learning how to walk again early on during his recovery. “We are not just statistics. There are real people getting hurt,” he said. Photojournalist Chris Hansen contributed to this reporting. For tips on this or any other story, contact blowthewhistle@9news.com.